Home › Blog › Muchmore Hybrid 4X DC Charger now available @ Quantum! New from Muchmore the Hybrid 4X DC Charger. The Hybrid 4X DC Charger can charging or discharging from 4 different battery types at the same time. 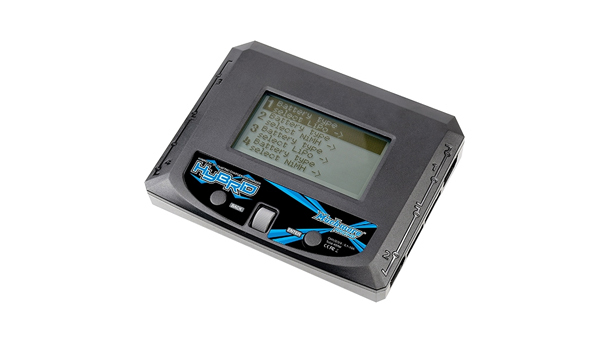 Hybrid 4X DC Charger is equipped with a large LCD screen to view all four channels. Backlight is equipped you can see LCD in dark place. Real time Each channel processing / Each 100W charging. Hybrid 4X DC Charger is each channel operates individually, and each 100W can be charged. You can operate other channels even if you are operating the selected channel. 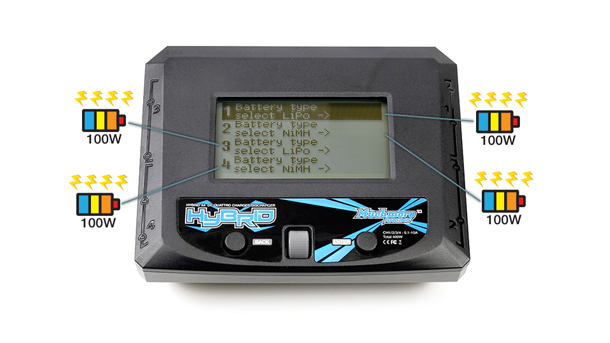 Hybrid X4 charger is built Li-Fe or LiPo 2 ~ 6S cell XH2.5 balancing ports all in one, no need a separate balancing board. Hybrid X4 charger attached built-in DC power input port.